Phatimation! It’s a sound design party. Phatimation! A special screening of six short animations that feature sound by Dion Clark aka PhatCo. This event will highlight the collaborative nature of animation, with a focus on the appreciation of sound, and the role it plays in bringing animations to life. Featuring real live musical performances by Rob Zosars of LeSuits fame, and the ever angelic Kathleen Maloney. 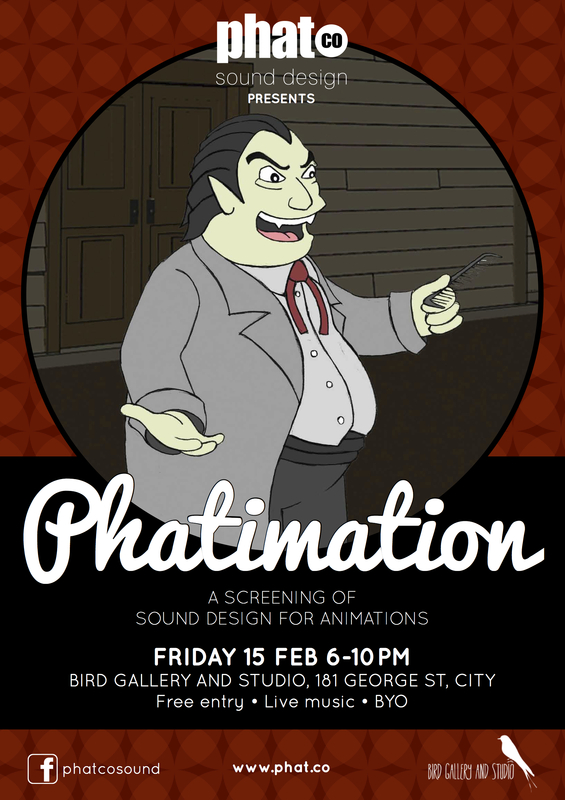 Phatimation is an opportunity to meet and network with the animators themselves, as well as the voice actors, composers, and the sound designer. It’s at a lovely little space called Bird Gallery and Studio, 181 George Street Brisbane, just duck down the lane!